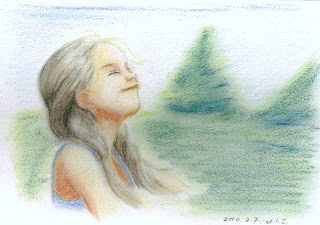 I drew this picture again and painted by pastel. Thank you, I'm so happy your comment! I could spend so good weekend. I went to shopping and bought somethings!